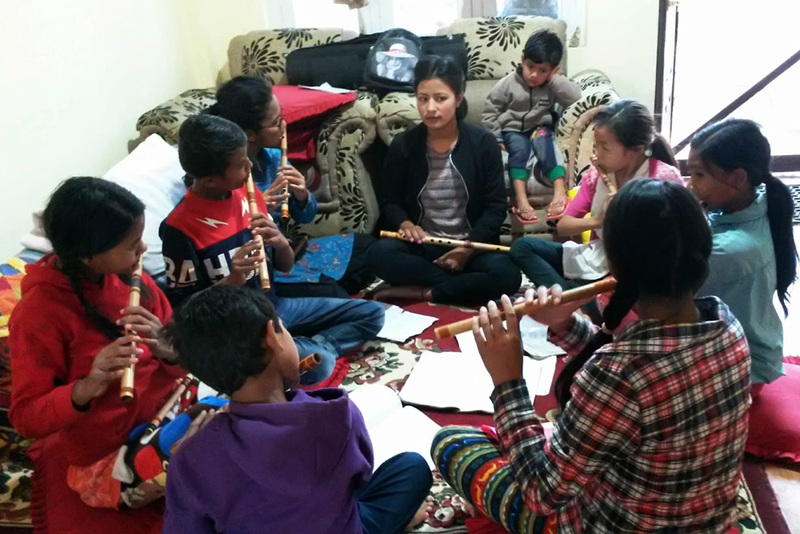 Naad Sangeet Pathshala teaches music to children outside of Kathmandu, many coming from the conflict-affected areas and orphanages, following the devastating Nepali earthquake. 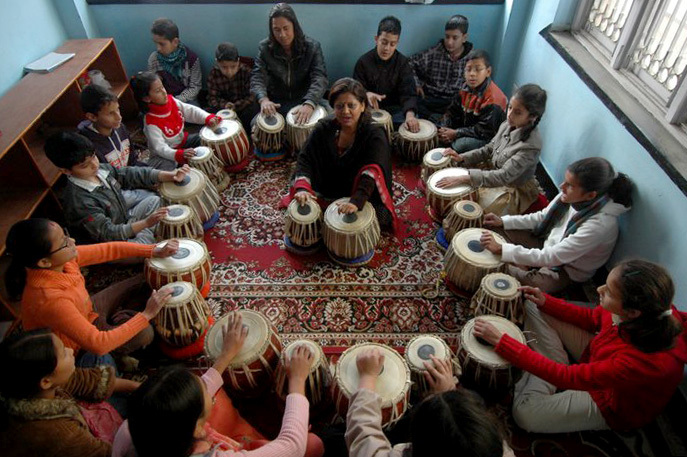 It is founded and led by the first professional tabla player in Nepal, Sarita Mishra who firmly believes in the healing power of music. Through transformative music education and performance on stage, Naad (re)-builds self-confidence, teamwork and trust in young adults. It then goes a step further – empowering and supporting its students to earn an income by performing music. Developing a social business model for income generation to ensure the school’s vibrant operations for the long term.